An often touted statement on the internet is that burning Propane or Butane creates a “Wet Heat” – potentially leading to damp in your van…. This means that if the gas is burnt as an open flame inside your van (like an oven/hob, or a portable gas heater) then the water vapour will condense out and make everything slightly wetter. This is not usually a concern if there is good ventilation, but it can be noticeable in the winter when windows/vents etc. are likely to be shut tight. 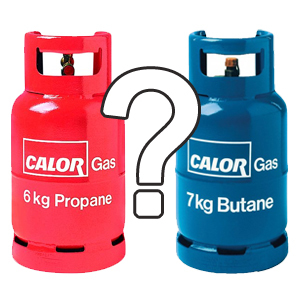 HOWEVER – if your van is equipped with gas fired central heating, such as a Truma boiler (click here for details of how they work, if you are interested) then the combustion air is drawn in from the vent on the outside of your van, and the flue gasses are sent back out through the same vent (it’s a coaxial job, with one tube inside another one!). The hot air coming out of your vents is warmed via a sealed heat exchanger and has never been in contact with the gas, no has no more moisture in it that the rest of your vans air! Warning – if there is not enough air to mix with the gas when it is burned you get highly poisonous CO (Carbon Monoxide) being formed instead of CO2 (Carbon Dioxide) – this is the key reason (alongside the moisture thing, obvious fire risk etc.) that you should never use the hob for space heating, or use a portable gas heater in an unventilated space. It is also a good idea to have a carbon monoxide detector in your van.